CG Technology, LP, the sportsbook operation of Cantor Fitzgerald that was known as Cantor Gaming prior to 2014, has agreed to a combined total of $22.5 million in fines and penalties to resolve separate cases brought by the Department of Justice [DOJ] of the Eastern District of New York, and the US Department of the Treasury’s Financial Crimes Enforcement Network [FinCen]. The twin cases centered on the activities of Cantor Gaming’s former vice president of risk, Michael Colbert, who has already pled guilty to criminal charges from the multi-departmental investigation. Colbert, who set the money lines for much of Cantor’s action, faces up to five years in prison for his role in facilitating illegally placed bets and accepting funds in violation of money-laundering statutes. The activity at Cantor Gaming that drew investigators’ attention occurred in the years 2009 through 2013. 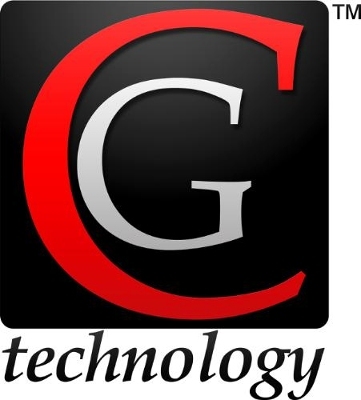 CG Technologies, at that time Cantor Gaming, ran sportsbooks in eight prominent Las Vegas casinos: the Venetian, the Palazzo, the M Resort Spa Casino, the Hard Rock Hotel and Casino, the Tropicana, the Cosmopolitan, the Palms Casino Resort, and the Silverton Casino Hotel. The Venetian and the Palazzo, the connected casino complex owned by Las Vegas Sands, Inc. and chaired by online-gambling foe Sheldon Adelson, has been involved in several different money-laundering episodes in recent years. Regarding the twin settlements announced with CG Technologies, the total of $22.5 million involves both fines and criminal forfeitures. The DOJ for the Eastern District of New York announced a total settlement of $16.5 million in its presser. That figure included $6 million which went to FinCen, while FinCen reported a $12 million settlement figure in its own announcement, also including that same $6 million, which means CG Technologies faces a total of $22.5 in fines and criminal penalties. The twinned deal also included a non-criminal-prosecution agreement. The settlement comes on the heels of Cantor’s/CG Technology’s $5.5 fine assessed by Nevada’s gaming regulators in July. That fine, the highest penalty assessed in Nevada gaming history, involves the same series of activities, along with the disclosure of inaccurately calculated payouts that likely cost CG Technology’s customers millions. Former CG Technology president and CEO Lee Amaitis was forced to resign as part of that investigation. The core illegal activity related to today’s settlements, according to prosecutors, was directly related to Cantor’s business model, in which the affiliated sportsbook catered to high-volume, high-action bettors. That high-end catering included little or no checking into the source of income for the bettors. CG Technology’s books also allowed third-party betting bu runners, an activity long in violation of Nevada gaming law. 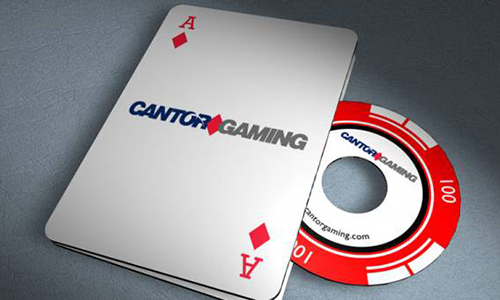 Cantor Gaming’s strategy to grow its business required it to attract and retain bettors who frequently placed large wagers on sporting contests. To do so, Cantor Gaming offered higher betting limits than other sports books and gave the important bettors preferential treatment, including direct access to Michael Colbert, whose job was to set the lines and odds for the betting contests. Important bettors interacted with Colbert and his staff rather than the “front of the house” staff that was under the supervision of Cantor Gaming’s chief operating officer, which normally handled interactions with bettors. To accommodate some of the important bettors, Colbert and his staff facilitated violations of state and federal laws, including: (a) knowingly accepting and facilitating “messenger betting” in its sports books on repeated occasions; (b) knowingly accepting and facilitating out-of-state betting activity through wire communications; and (c) processing large cash deposits and withdrawals and third-party wire transfers, knowing that the property involved represented the proceeds of some form of illegal activity. As set forth in the Statement Facts, which is attached to the non-prosecution agreement, two of these important high volume bettors ran illegal bookmaking operations and were able to launder their illegal proceeds through Cantor Gaming wagering accounts. The settlement pressers also detailed Colbert’s ongoing arrangements with the “Jersey Boys,” the group of 25 bookies and associates indicted in New York in 2012 as part of the takedown of the online PinnacleSports.com operation. Several members of that group had direct associations with Colbert. The State of New York, as discussed below, brought an indictment in 2012 that alleged that the “Jersey Boys” was an illegal gambling operation that conducted its illegal activities at least as early as 2010, and continued at least until late 2012. This operation employed “runners,” or individuals who opened wagering accounts and placed bets with Cantor Gaming’s sports books. These runners were paid by the leader of the criminal operation for placing bets on behalf of others. This arrangement was illegal under both Nevada and federal law. That case summary also notes two well-known poker players who were among the 25 “Jersey Boys” defendants, Steven Diano and Paul Sexton. Diano, a Vegas cash-games and tourney regular, was identified as one of 15 alleged bookies in the PinnacleSports case, and who was also a Cantor Gaming customer, placing many large bets there in 2010 and 2011. Diano was indicted on one count of enterprise corruption, five counts of money laundering, and one count of conspiracy, and eventually agreed to a forfeiture of $270,000 in 2015. Then there was Paul Sexton (not related to Mike Sexton), a one time “Friend of Full Tilt Poker.” Sexton was one of the alleged runners for the Jersey Boys group, frequently placing large bets with Colbert and Cantor Gaming. In 2012, Paul Sexton, a runner for the Jersey Boys, was indicted in the State of New York on one count of enterprise corruption, nine counts of money laundering, and one count of conspiracy. As charged in the indictment, Sexton and others collected and distributed money on behalf of the organization, and acted in concert with Michael Colbert to launder money through Cantor Gaming. Between July 2011 and October 2012, Sexton placed about 4,464 wagers with Cantor Gaming on behalf of G.K., which totaled about $22 million. In September 2013, Sexton pled guilty to fourth degree money laundering.